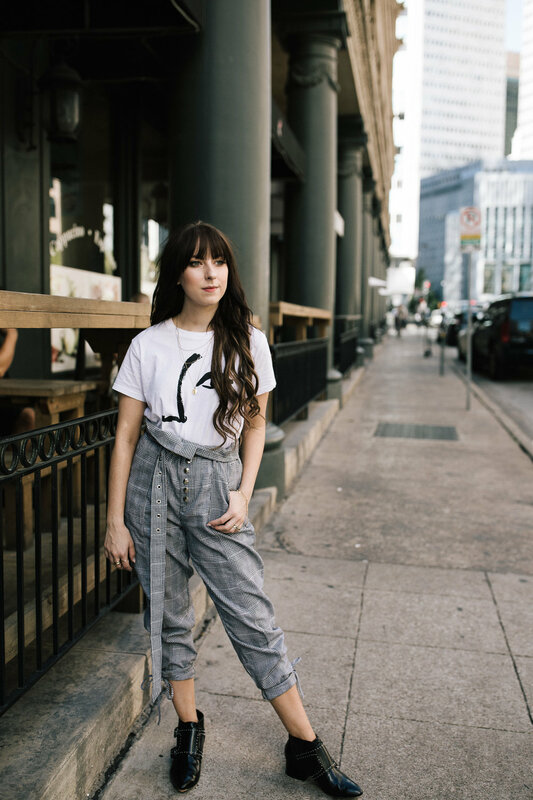 CAPTURING HAPPINESS IN THE MAIN STREET DISTRICT OF DALLAS — Katherine Gail Co. I recently got to be a tourist in my own town and explore the historic Main Street District of Downton Dallas while shooting Mary of Capturing Happiness blog. Living in the burbs, I don't get too many chances to explore the most interesting parts of the city so when I do I take a lot of photos tourist style. Loved the Pegasus cut-out that decorates the light posts in the area. One of the prettiest buildings in the area is the building that houses the store Forty Five Ten. Had to capture some photos of Mary around the building and in its revolving door too. The Wilson Building is an historic 8-story building that was completed in 1904 and patterned after the Palais Garnier in Paris, France.Got some shots of Mary by the columns that are on the south and east side of the Wilson building. Then there's the big eyeball. It's a 30 foot sculpture in the garden across the street from the Joule Hotel. Why? Because it's cool. 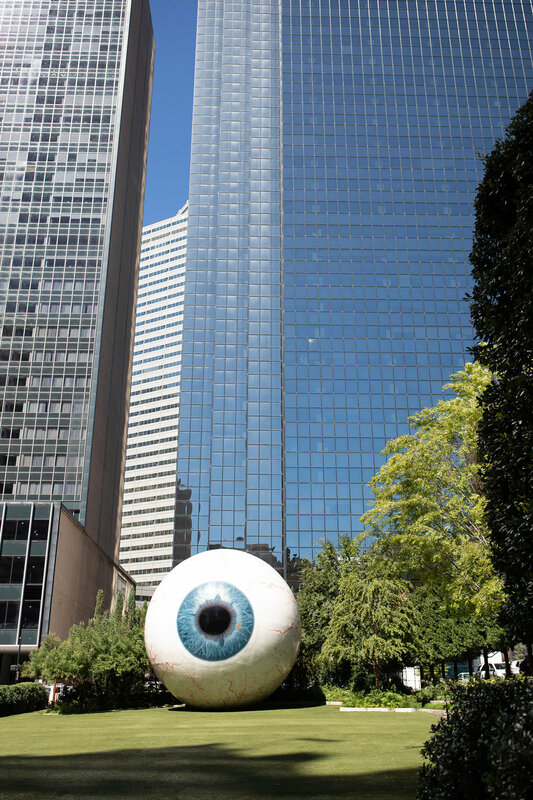 The eye ball stares across the street at the gothic style Joule Hotel. The building was constructed in 1927 as the Dallas National Bank Building. 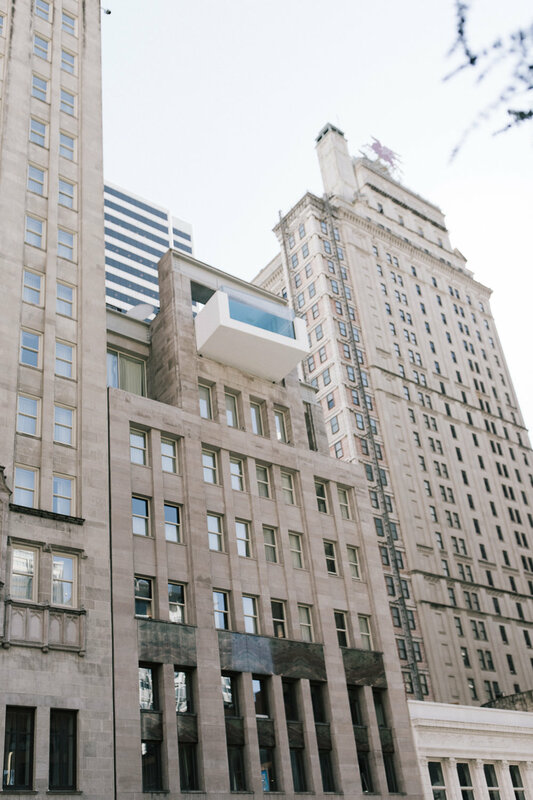 The Joule has garnered acclaim for its 10th floor pool that cantilevers eight feet over the easement below. 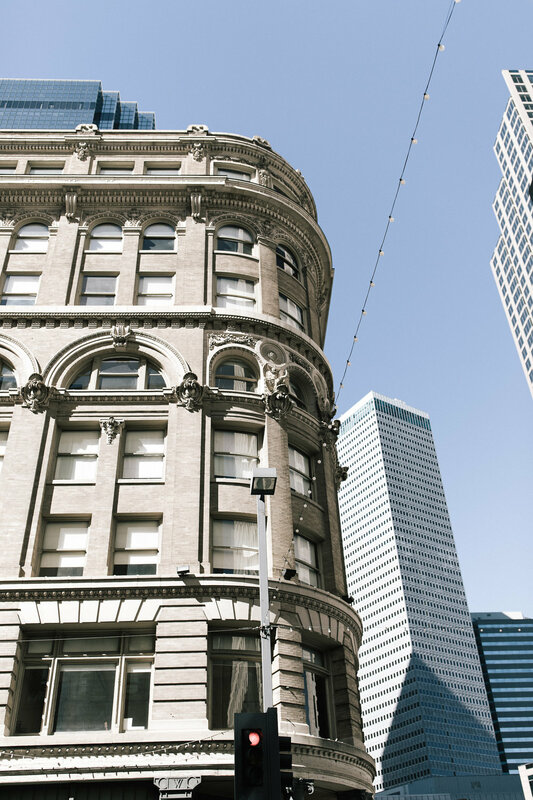 Around the corner from the Joule is the Adolphus Hotel. The Adolphus was opened on October 5, 1912, built by the founder of the Anheuser-Busch company, Adolphus Busch in a Beaux Arts style designed by Thomas P. Barnett of Barnett, Haynes & Barnett of St. Louis. Busch's intention in constructing the hotel was to establish the first grand and posh hotel in the city of Dallas. 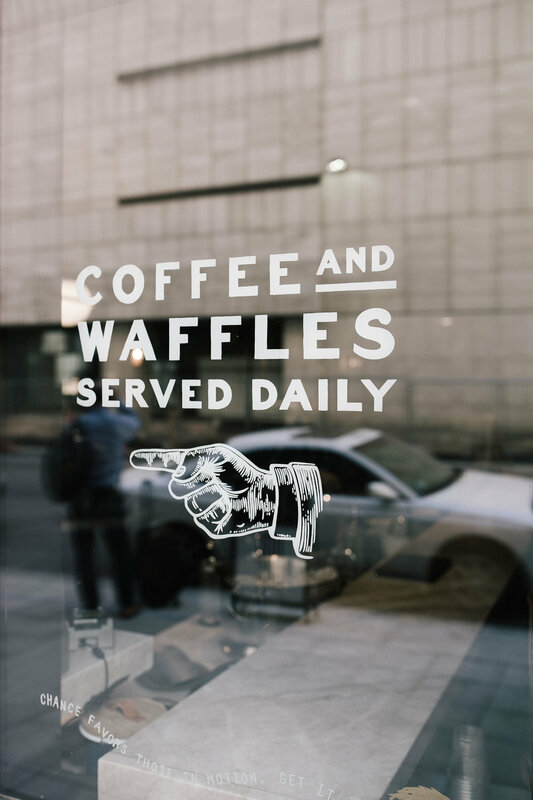 Otto's Coffee and Fine Foods is next to the Adolphus. Of course the headquarters for Neiman Marcus is in the Main Street District too. Shooting in the Main Street District was inspiring! There is a rich history down there. Stay tuned for more from photo sessions in the Main Street District.